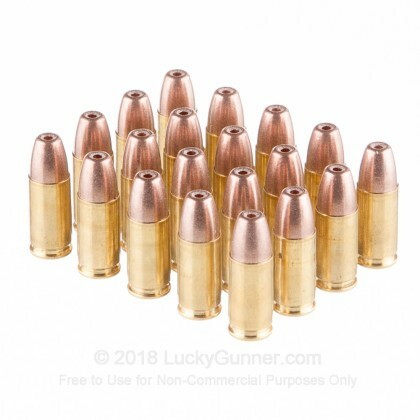 From the makers of SinterFire Greenline and Reduced Hazard ammunition comes a great 100 grain frangible hollow point round. 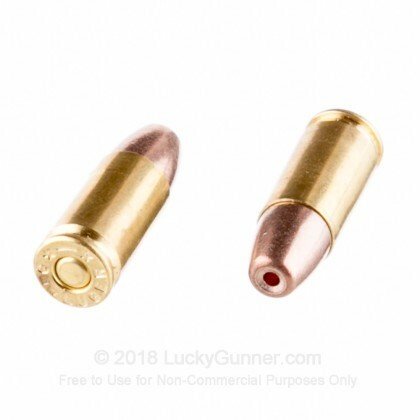 This frangible hollow point round is great for home defense, duty or tactical operations. 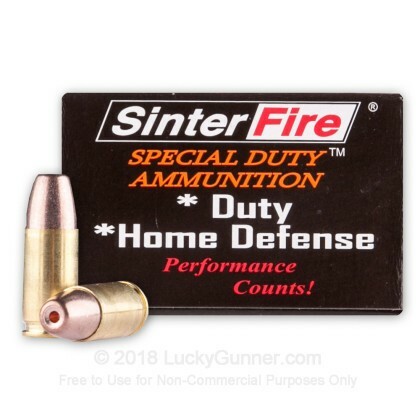 Sinterfire has actually been producing this frangible hollow point round for years but they've only recently began to load the projectiles themselves. 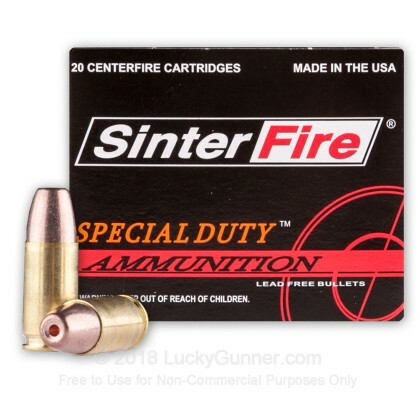 You can rest assured that every round of this ammunition meets the strict quality control measures that all SinterFire ammo must meet before it is sold. 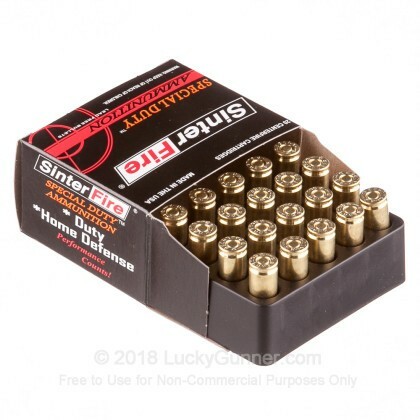 Packages in 20 round boxes, this frangible hollow point ammunition is loaded into new production reloadable brass cases, filled with premium clean burning powders and primed with non-corrosive small pistol boxer primers. 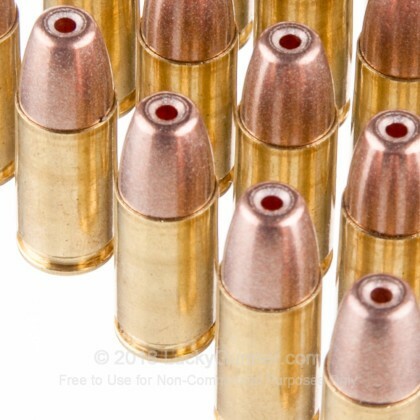 This one will deform after hit body.